IT was a case of ‘What in the world are you doing in my backyard?’ when a kangaroo recently came face to face with a Jabiru in suburban Tea Gardens. The Jabiru, as it’s commonly known, is Australia’s only representative of the stork family, and usually hangs out in the Northern Rivers of New South Wales. Tea Gardens local Brian Beattie, captured these photos of the Jabiru, who he’s nicknamed Fred. “He or she arrived in early August and was very disoriented and weak” Brian said. “It didn’t seem to be able to fly but with good feeding, as in basa fillets from Coles, it appears to have gained strength,” Brian said. 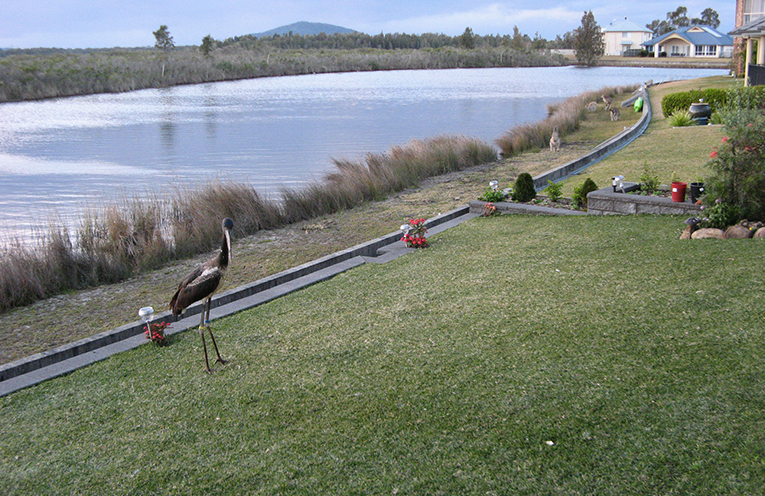 The black neck stork likes to inhabit freshwater marshes, wetlands, lakes, and mangroves so it’s not surprising that he’s taken a liking to Tea Gardens. The Jabiru has been listed as endangered, not only in Australia, but worldwide. Once plentiful right along the east coast, their numbers have dramatically declined. 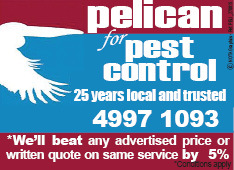 They are now considered extinct throughout much of NSW. 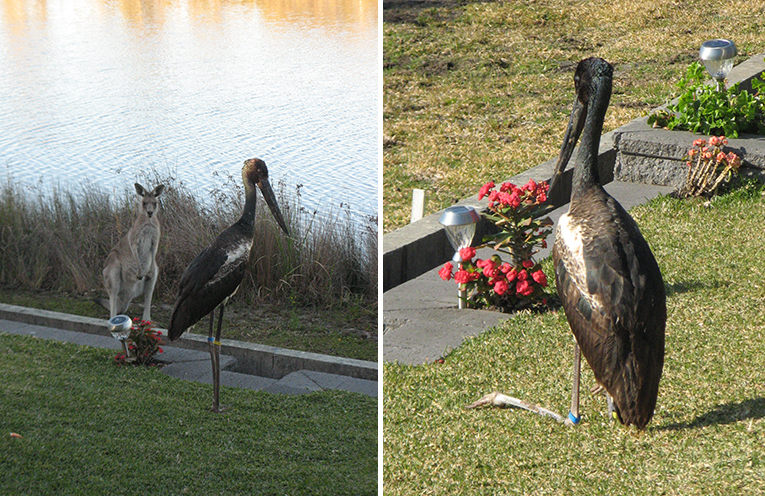 Wildlife authorities have been notified of the sighting and it does appear that the Jabiru has been tagged in the past.